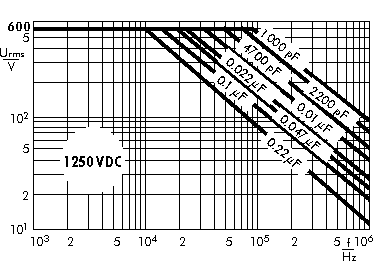 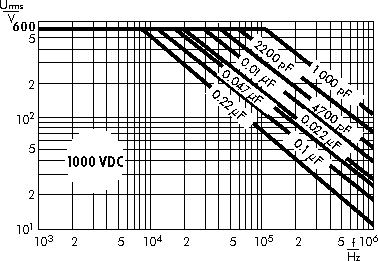 Capacitances from 100 pF to 4.7 µF. 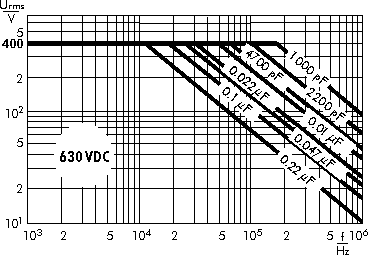 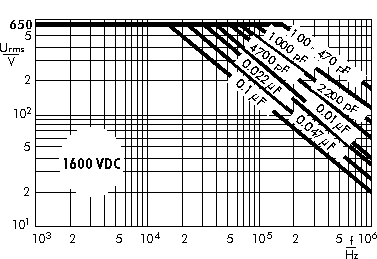 Nominal Voltages from 400 VDC to 6000 VDC. 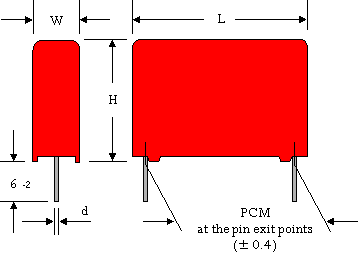 PCM 15 mm to 52.5 mm. 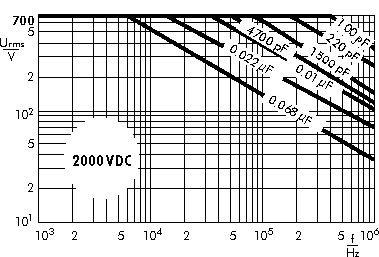 For high pulse and high frequency applications e.g. 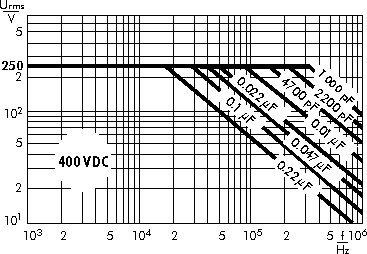 Insulation resistance at +20°C: Measuring voltage: 100V/1 min. 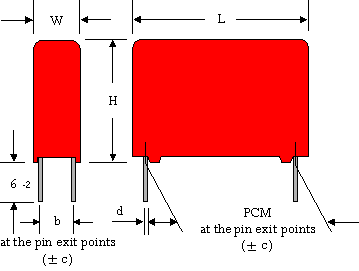 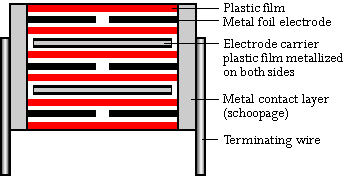 **PCM = Printed circuit module = pin spacing. 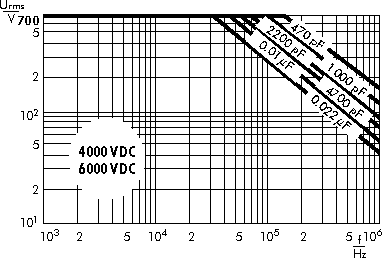 Ionisation inception level in isolated cases may be lower than admissible rated AC voltage.